Never enter into a battle of the wills: The trick to loving and parenting a strong willed child is to never enter into a battle of the wills. You will be exhausted. If you win, you will break their will. If you lose, your child will walk all over you. Your job is not to teach your child who is in charge through painful disciplinary techniques. Your job is to help your child redirect their strong will towards the good, while enforcing certain basic house rules. Does this sound easier-said-than-done? It is. But keep reading; I have some ideas to get you started. Discipline with natural consequences and personal reflection, not pain: There is a temptation with a strong willed child to enforce discipline– to get stronger and stronger– to show them who is in charge. When your child tests your patience, it’s easy to just default to a standard punishment such as time-out, loss of dessert, or spanking. Or, like most parents, we just default to yelling. Yelling and spanking aren’t long-term solutions. You might get an the immediate result that you want (a kid that stops the undesired behavior), but, in the end, yelling and painful physical punishments simply cause you to enter into a battle of the wills with your child and cause more harm than good. Rather than yelling or corporal punishment, children need attuned parenting for healthy brain development. This is where you have to be creative as a parent. Instead of resorting to knee-jerk punishments like taking away treats or spanking, choose disciplinary techniques that require reflection or allow your child to make up for their inappropriate behavior. For example, if one child is mean to another, perhaps the mean child needs to do chores or something kind for the child they were hurting. Older children can write letters of apology to people they have wronged. We often ask our children to write essays about the house rules they have broken. 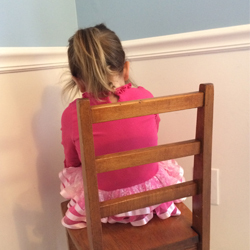 Writing punishments accomplish two things: they allow a child to reflect on what they did wrong, and they give us both a little time and space away from each other to cool down. Dr. Joan Luby is a professor of child psychiatry and director of the Early Emotional Development Program at Washington University School of Medicine in St. Louis. Her research shows that positive parenting of toddlers in stressful situations, rather than scolding or corporal punishment, is actually associated with an increase in the size of certain areas of the brain. Redirect selfish desires: Strong-willed desires are fundamentally selfish. Our job as parents is to refocus that strong will away from selfish desires and towards the good. Give your child opportunities for leadership, even if it means letting a strong-willed 3-year-old be in charge of a situation for a few minutes. Let a younger child “babysit” a sibling while you cook dinner. By school-age, help your strong-willed child immerse him or herself in a cause– supporting an animal shelter, working in a food pantry, caring for an elderly neighbor, etc. Older children need real challenges as outlets for their will– consider pushing them into athletics, academics or musical endeavours that will push them to the limits of their personal fortitude. Outdoor survival programs and longer hiking, bicycling, or canoeing trips are good summer options for strong-willed children. Ease your child’s strong will through tenderness and love: It’s easy to be so tired and frustrated with a strong-willed child that we forget to be tender, gentle and loving. Yet without our example, our children cannot learn to be tender and gentle themselves. Find routine times in the day to physically touch and hug your children and talk to them in a tender, loving voice. Good times for these moments are first thing in the morning, when your child returns home from school and at bedtime. Investing in your child now is the best investment of your life– spending time loving and raising your child will reap dividends of joy. If you teach a strong willed child to do what’s right, they will do what’s right with a strong will. 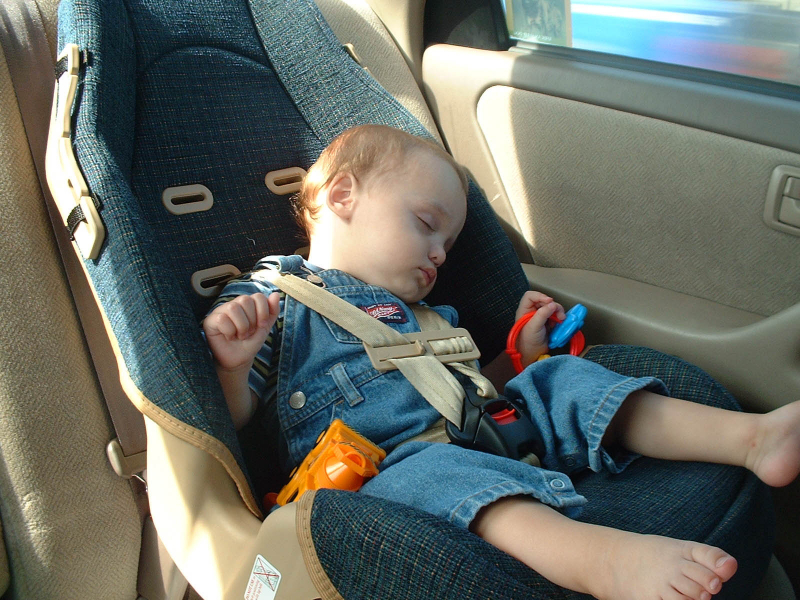 2014 Hot Car Deaths - How does this happen?